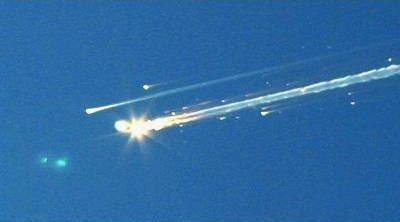 At the conclusion of the STS-107 mission, the Space Shuttle Columbia disintegrated during reentry over Texas, killing all seven astronauts inside. The loss of Columbia was a result of damage sustained during launch, when a piece of foam insulation the size of a small briefcase broke off the Space Shuttle external tank (the main propellant tank) under the aerodynamic forces of launch. The debris struck the leading edge of the left wing, damaging the Shuttle's thermal protection system, which was unable to protect it from heat generated by the atmospheric re-entry. The invasion of Iraq was led by the United States, alongside the United Kingdom and smaller contingents from other countries. The initial invasion phase lasted from 20th March to 1st May and involved troops from the US (248,000), UK (45,000), Australia (2,000) and Poland (194). 36 other countries were involved in its aftermath. According to then President of the United States, George Bush, and then Prime Minister of the United Kingdom, Tony Blair, the reasons for the invasion were "to disarm Iraq of weapons of mass destruction (WMD), to end Saddam Hussein's support for terrorism, and to free the Iraqi people." According to Blair, the trigger was Iraq's failure to take a "final opportunity" to disarm itself of nuclear, chemical and biological weapons that US and UK officials called an immediate and intolerable threat to world peace. Although some remnants of pre-1991 production were found after the end of the war, US government spokespersons confirmed that these were not the weapons for which the US went to war. 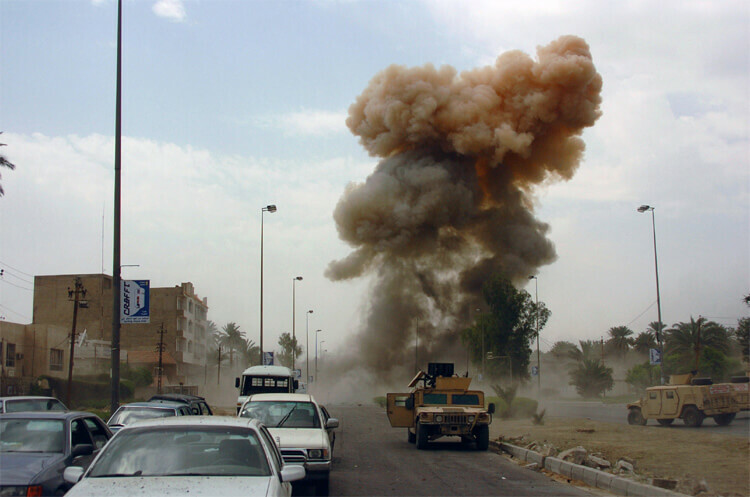 In 2005, the CIA released a report saying that no weapons of mass destruction had been found in Iraq. In December 2007, the Iraqi government reported that there were 5 million orphans in Iraq – nearly half of the country's children. According to the UN, Iraq's health had deteriorated to a level not seen since the 1950s. Malnutrition rates had risen from 19% before the US-led invasion to a national average of 28% four years later. Some 60-70% of Iraqi children were suffering from psychological problems. 68% of Iraqis had no access to safe drinking water. A cholera outbreak in northern Iraq was thought to be the result of poor water quality. As many as half of Iraqi doctors left the country between 2003 and 2007. By 2010, the lowest credible estimate of civilian casualties in both Iraq and Afghanistan was around 850,000 – about 283 times as many than were killed in the attacks of 9/11. Put another way: over 121 times as many people had been killed in these wars and occupations than in all terrorist attacks in the world from 1993-2004, according to data compiled by the US State Department. Throughout the entire Iraq War and occupation there were countless human rights abuses. The financial cost of the war had been more than $845 billion to the US, with the total cost to the US economy estimated at $3 trillion. 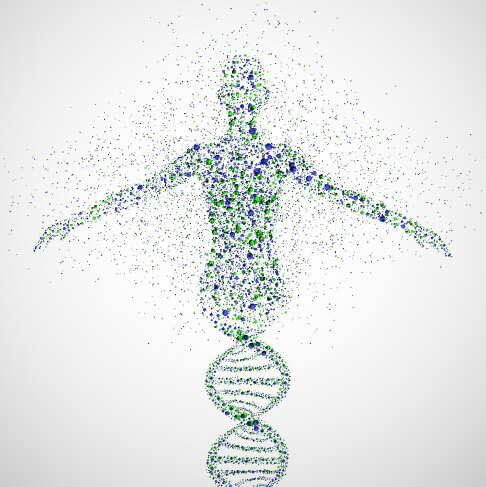 The Human Genome Project was an international scientific effort with a primary goal to determine the sequence of chemical base pairs which make up DNA and to map the 20,000+ genes of the human genome from both a physical and functional standpoint. The project began in 1990. About halfway through, critics pointed out that given the rate at which the genome could then be scanned, it would take hundreds of years to finish. However, a working draft of the genome was released in 2000 and a complete one in 2003. This was made possible thanks to exponential progress – like many areas of science, information on the base pairs was actually doubling every year and required only a few more doublings to reach 100%. In addition to nearly $1 trillion of economic returns,* the project brings huge long-term benefits to the world of science and medicine. Knowledge of the effects of variation of DNA among individuals can revolutionise the ways to diagnose, treat and prevent a number of diseases that affect human beings, as well as providing clues to the understanding of biology as a whole. 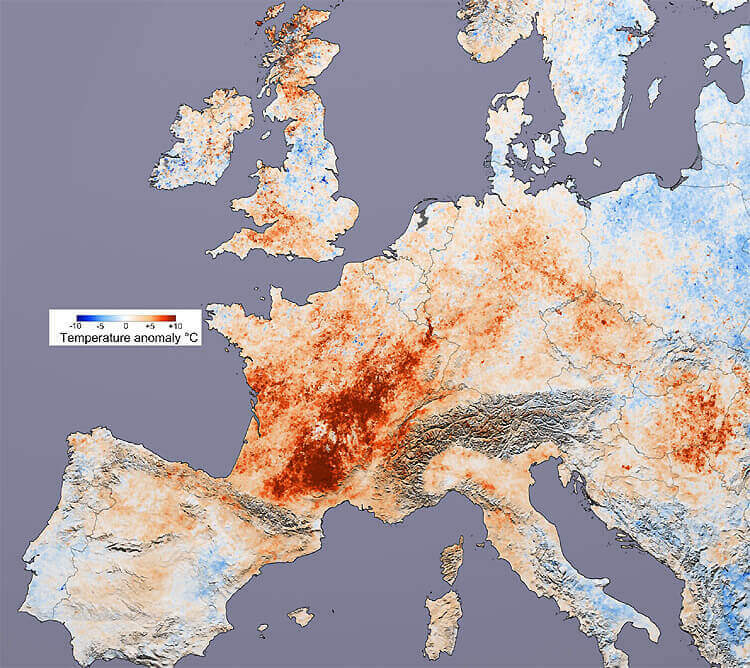 The 2003 European heat wave was among the hottest summers ever recorded in Europe. It led to a health crisis in several countries and combined with drought to produce a crop shortfall. Seven days with temperatures of greater than 40°C (104 °F) were recorded in France. More than 37,000 died as a result, mostly the elderly. Above: 2003 heatwave temperature variations in comparison to normal temperatures in Europe. MySpace.com was launched in August 2003 and quickly became one of the most popular social networking sites on the web. In 2006, the 100 millionth account was created. However, it was overtaken by its main competitor – Facebook – during April 2008, based on monthly unique visitors. 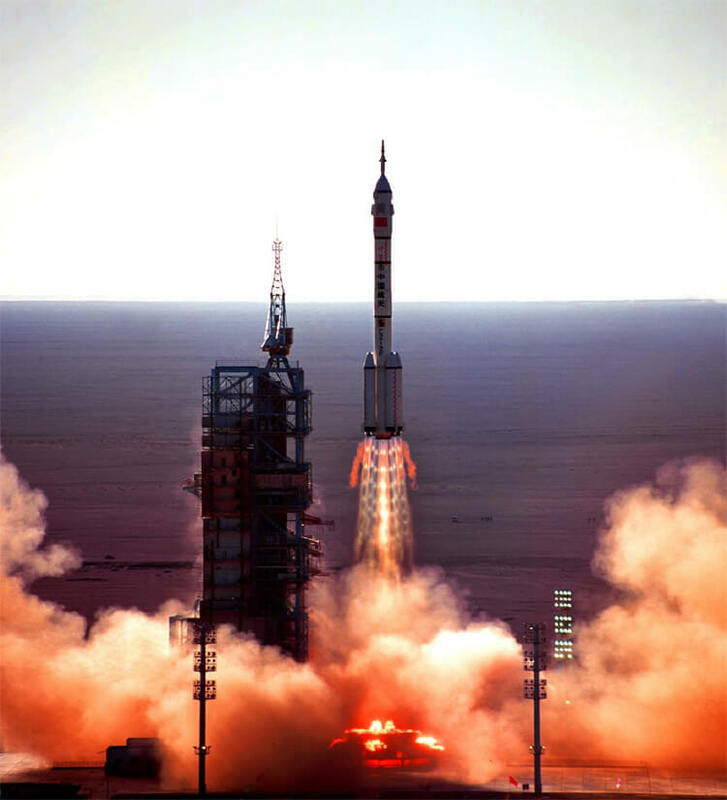 On 15th October 2003, China successfully placed its manned "Shenzhou 5" spacecraft in orbit. This followed four previous missions of which three were unmanned and one carried animals. Shenzhou 5 carried a single astronaut – Yang Liwei. It was launched from the Jiuquan Satellite Launch Center in the Gobi Desert, using a Long March 2F rocket booster. Shenzhou 5 was made up of three components: a service module, orbital module and reentry module. The orbital module spent 21 hours above the Earth, reaching a maximum height of 336 km (209 mi). It contained various experimental equipment and was left in space, along with the service module. The reentry component returned to Earth after orbiting the planet 14 times. With this mission, China became only the third country in the world to have independently put humans in space. Following this success, two more manned missions were launched, Shenzhou 6 in 2005 and Shenzhou 7 in 2008. However, China still received some criticism for its expensive space program, with some saying the money could have been better spent elsewhere.